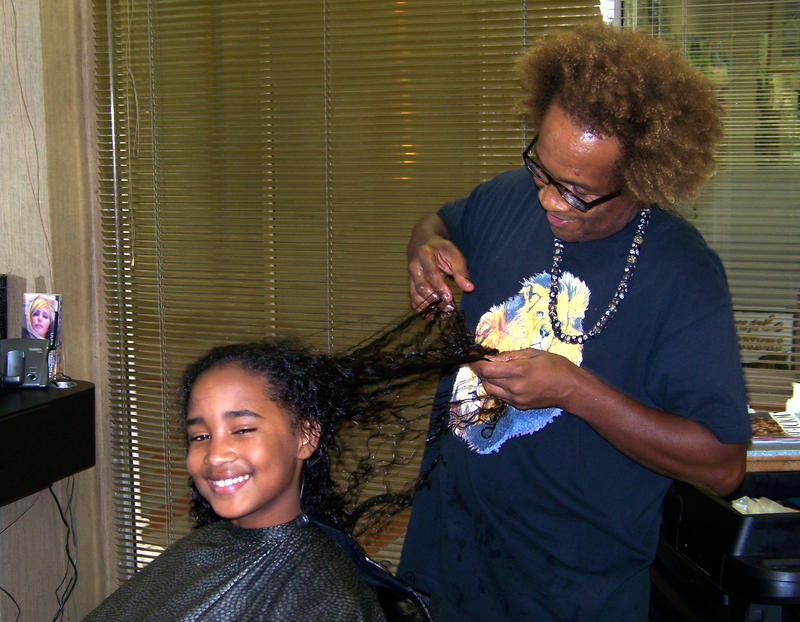 With more than twenty years of service, it is the mission of LeChic Hair Studio to care for the total well-being of our clients. Johnny Smith has been meeting my hair care needs for the past 10 years, with a level of professionalism and attention to detail that have made me feel like I’m his only client. He always takes his time and is very methodical in his technique – for him, hair care is both an art and a science. I began transitioning to natural in March of 2015, and have been keeping a standing weekly appointment with Johnny ever since. He recently shaped my hair, against my better judgment, and I’ve received several compliments on how much movement it has. Since I wear my hair blown out/straightened, it’s absolutely essential that it’s properly moisturized and shaped regularly, in order to maintain a healthy look. My journey to natural has had its ups and downs, because I’ve had to be totally dependent on Johnny to keep me looking my best, but he never disappoints! He’s been my mainstay, and thanks to him, my transition has been silky smooth ( pun intended). So the conclusion of the matter is: more expensive, yes, but worth every penny; higher maintenance, yes, but the end justifies the means; quality service, always, which is what sets Johnny apart and has kept him on the cutting edge of his profession for over 25 years.